To add an new page, click on "Add a Subsection" at the bottoming of the editing window. Creating a new page within Urban Planet is straightforward. 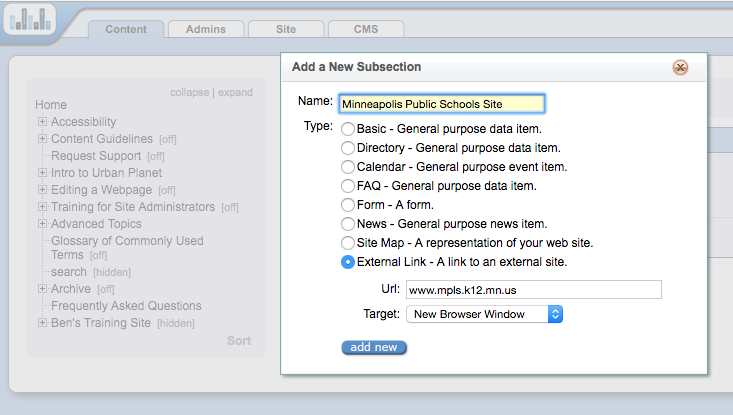 Simply click the "add new subsection" item when you are in the editing window for the section you'd like to add too. 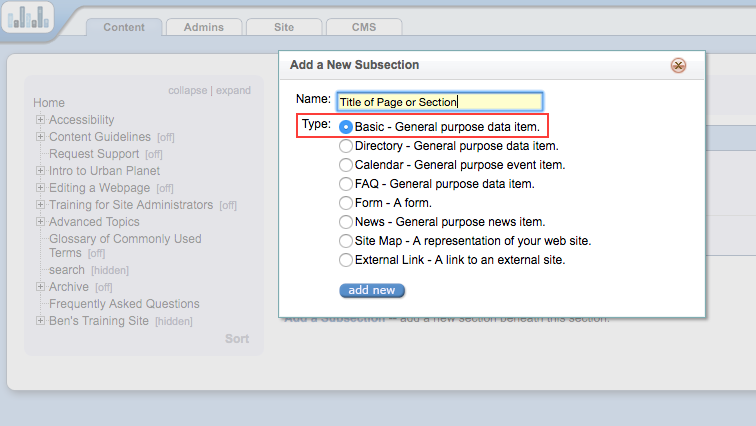 Note, "add new subsection" is used to create a new page or a new section, depending on where in the content tree you are adding the section. For example, if you are in the editing window for "home" and create a new subsection, it will generally become a section navigable from your left or top nav menu, depending on which template your school uses. Learn about configuring menu options. For most users, the only types of page you will need to create are "basic" and "link." A basic page is a simple HTML webpage suitable for most purposes. Link is useful for including a link to a different website within your nav menu.